In the beginning, there was thermally modified wood. To our knowledge, the early Vikings were the very first people to use thermal modification to alter their wood’s properties. The Vikings discovered that if they used fire to burn the cut surface of their wood, it made the material more resistant to the elements. Later, the Europeans adopted this practice, and even took it a step further. They added steam, which made it possible to heat the wood to extremely high temperatures. Today, we use thermal modification to create Endurance Series lumber. Altering the surface of the wood with heat results in a product that is extraordinarily resistant to salt water spray, mold, rot, insect infestation, and any other outdoor element that is thrown at it. Thermal modification is a safe, all-natural process with a proven history, making it a high-quality, trademark method used by expert craftsmen. After the proper wood is selected, it is placed in an oxygen-free environment and heated to roughly 400 degrees Fahrenheit. It is then treated with a combination of heat and steam. The extremely high heat combination changes the makeup of the wood, resulting in a durable construction material that is ideal for the outdoors. Thanks to the thermal modification process, Endurance Series lumber remains untouched by the elements. The wood is extremely resistant to mildew, rot, and insects. A major problem with other exterior wood options is how vulnerable they are to moisture. However, the Endurance Series resists moisture, which keeps it from warping. Even in the most extreme outdoor conditions, it retains its shape and dimensions. From start to finish, thermally modified wood is sustainable and friendly to the environment. Not only is it made from renewable materials (hard maple and white oak) but the process itself is incredibly safe and non-toxic. Many pressure-treated woods are produced with toxic chemicals that break down the structure of the wood--and worse, can be harmful to anyone involved in the process and the environment. But our thermal modification process doesn’t involve chemicals. That means that the scraps can be reused, recycled, turned into mulch, or used in gardens and other projects. Not only is Endurance Series lumber better for the environment--it’s better for your wallet! 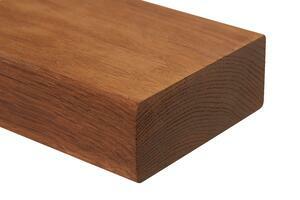 It’s cheaper than ipe (a popular exterior lumber option), yet is still a premium quality alternative. From decks to patios, fences to railing systems, Endurance Series lumber is ideal for outdoor environments and places that may get wet, such as basements. 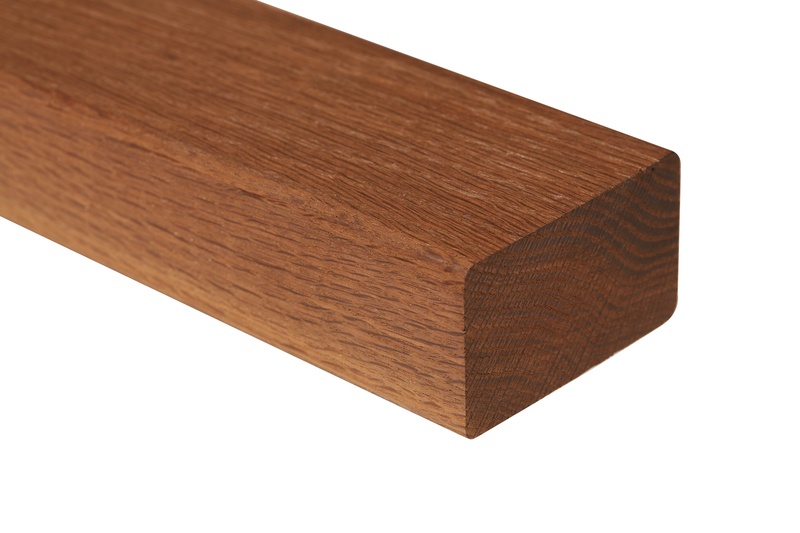 Because the wood is more sturdy, this can mean that it is harder on tool edges. Simply make sure that the tools you use are as sharp as possible, and this problem will be easily avoided. The wood may be less fire-resistant because of its low moisture content-- but this is a small problem compared to oversaturation, premature drying, and constantly battling humidity. Over time, a nice “patina” will develop on the surface of the wood, giving it a distinguished and elegant look. Because it ages so well, we recommend that the wood not be finished or stained. You’ll be able to enjoy this tough, long-lasting material for years to come. From the Viking age to modern day, thermally modified wood has proven itself time and time again as the best option for outdoor projects. The sleek, natural surface of the hard maple and white oak looks great all on its own: no coating required. Perhaps no other material boasts such an extraordinary resistance to the elements, while also maintaining cost-effectiveness and visual elegance. Check out StairSupplies' selection of Endurance Series lumber or contact a member of our knowledgeable team to learn more. We’re excited to hear about how you use Endurance Series lumber in your next project!